Aerial photographs of 9/11 Tribute Lights from helicopter by Steven Archdeacon. 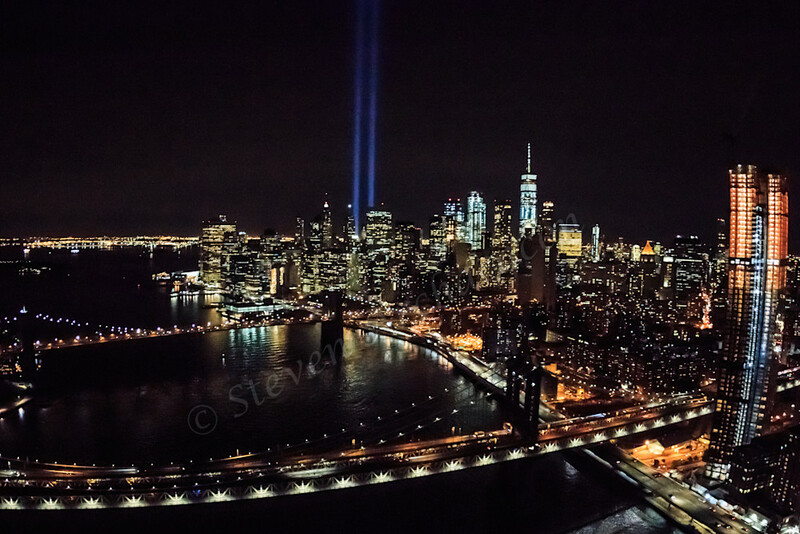 9/11 Tribute Lights Aerial from a helicopter of the World Trade Center, Brooklyn Bridge, and Manhattan Bridge. Aerial shot on 9/11 from a helicopter of the Tribute Lights, World Trade Center, Brooklyn Bridge, and Manhattan Bridge. I wanted to capture the Tribute Lights from a totally different perspective so the only way to do that was to take a helicopter ride. The sight from above was one of the most beautiful things I've EVER seen in my life! "We are, each of us angels with only one wing; and we can only fly be embracing one another."